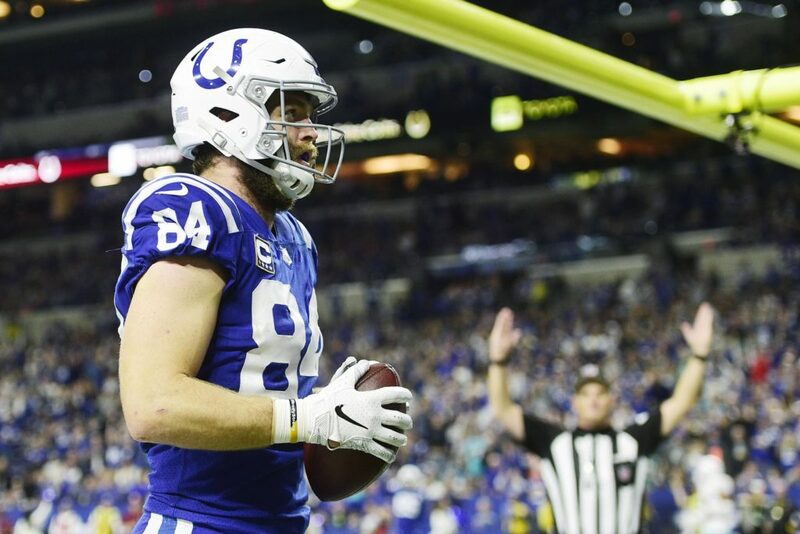 Colts coach Frank Reich announced that tight end Jack Doyle suffered a kidney injury in Sunday's game and required hospitalization on Sunday night. Doyle underwent "a procedure to control the injury," Reich said. Doyle, he said, is fine and the prognosis is good, but Doyle will be placed on the injured reserve. Doyle suffered a blow at the end of the third quarter of Sunday's win over the Miami Dolphins and abandoned the game, Reich said. He returned later, but quickly left the lineup again, Reich said. Doyle had not been discharged from the hospital until Monday afternoon, but Reich said he expected that to happen "soon." "He ran a stick route and got a pretty big hit," Reich said. "He left, he told the coaches that he received a big blow, he came back and tried to play, I think, two or three plays, but he could not do it and he left." The rest of the fourth room was out.